Top: Chicwish c/o (25% OFF) | Skirt: Forever 21 | Heel: Target similar here and here | Bag: Forever 21 similar here and here | Sunglasses: BP. | Lipstick: MAC in "Snob" with this lipliner in "Edge to Edge"
Today, I am bringing another Spring look from Chicwish. This top is a must have in your closet. Oh, the sleeves! I love the stripe detailing with the lace hem. 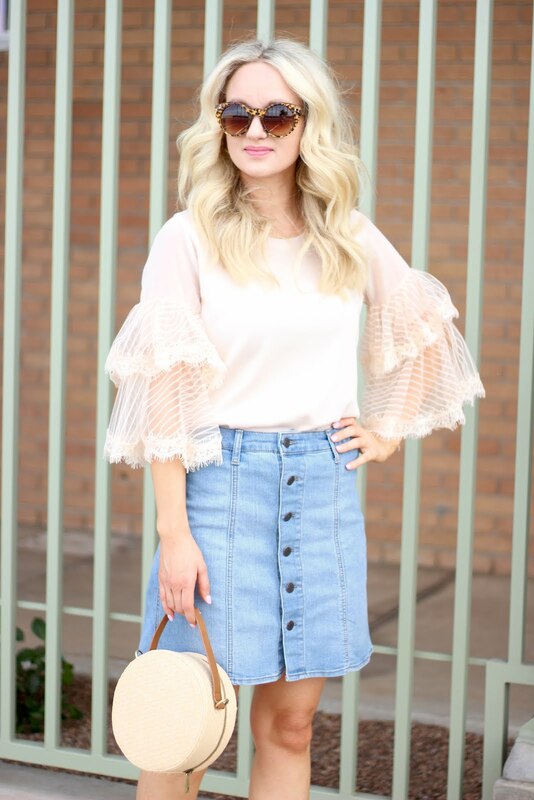 You can never go wrong with a tiered bell sleeve. I paired it with a classic denim skirt to make the top pop. It also comes in black and white.